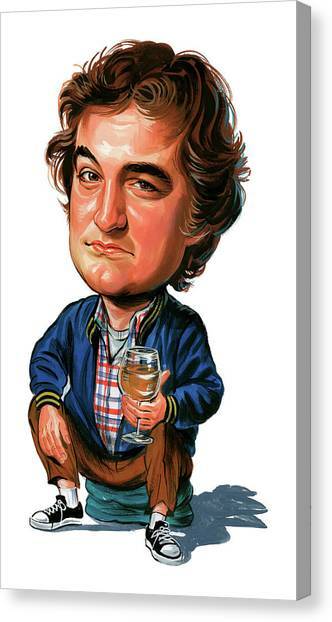 John Belushi is a painting by Art which was uploaded on January 12th, 2010. 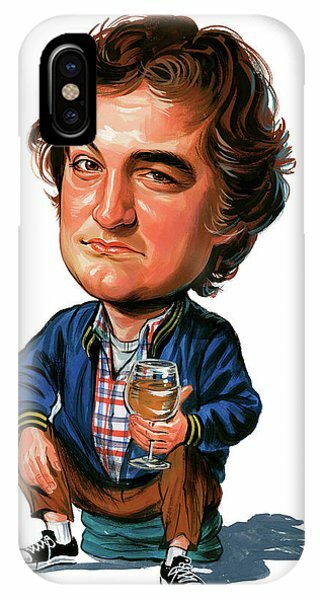 The son of an Albanian immigrant restaurant owner, Adam Belushi, and his vivacious wife, Agnes, John Belushi was born in Chicago, Illinois, USA, on January 24, 1949. He grew up in Wheaton, where the family moved when he was six. Though a young hellion in grade school, John became the perfect all-American boy during his high school years where he was co-captain of the Wheaton Central High School football team and was elected homecoming king his senior year. He also developed an interest in acting and appeared in the high school variety show. Encouraged by his drama teacher, John decided to put aside his plans to become a football coach to pursue a career in acting. After graduation in 1967, John performed in summer stock in rural Indiana in a variety of roles from "Cardinal Wolsey" in "Anne of a Thousand Days" to a comic detective in "Ten Little Indians". In the fall of his freshman year at the University of Wisconsin at Whitewater, John changed his image into a bad-boy appearance by growing his hair long and began to have problems with discipline and structure of attending classes. Dropping out of Wisconsin, John spent the next two years at the College of DuPage, a junior college a few miles from his parents' Wheaton home, where his father began persuading him to become a partner in his restaurant, but John still preferred acting. While attending DuPage, John helped found the "West Compass Players", an improv comedy troupe patterned after Chicago's famous "Second City" ensemble. 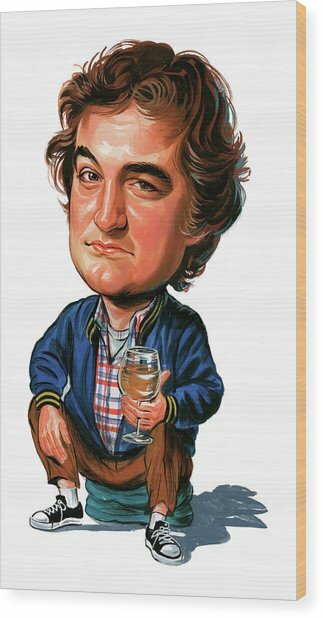 In 1971, John made the leap to "Second City" itself where he performed in various on-stage comic performances with others, who included Harold Ramis and Joe Flaherty. 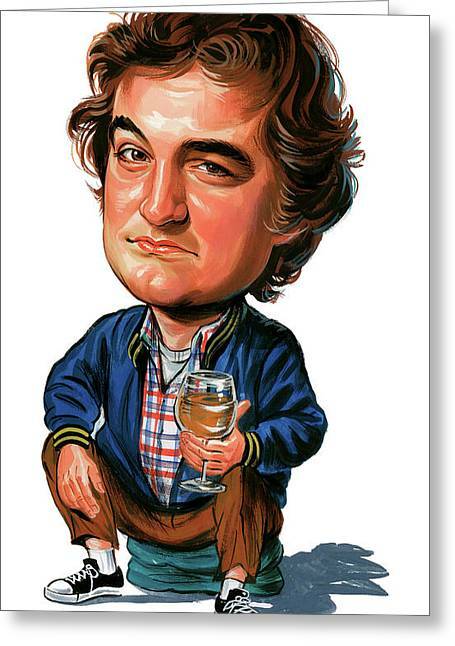 John loved his life at "Second City" where he performed six nights a week, perfecting the physical "gonzo" style of comedy he later made famous. A year later, John and his live-in girlfriend from his high school years, Judith Belushi-Pisano, moved to New York because John had joined the cast of National Lampoon's Lemmings, an off-Broadway rock musical revue that was originally booked for a six-week run but played to full crowds for nearly 10 months. In 1973, John was hired as a writer for the syndicated National Lampoon's Radio Hour which became the National Lampoon Show in 1975. John's big break came that same year when he joined the ground-breaking TV variety series "Saturday Night Live" (1975) which made him a star. 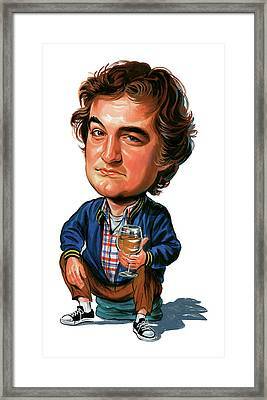 The unpredictable, aggressively physical style of humor that he began on "Second City" flowered on SNL. In 1978, while still working on "Saturday Night Live" (1975), John appeared in the movie Goin' South (1978) which starred and was directed by Jack Nicholson. It was here that director John Landis noticed John and decided to cast him in his movie National Lampoon's Animal House (1978). John's minor role as the notorious, beer-swilling "Bluto" made it a box-office smash and the year's top grossing comedy. Despite appearing in only a dozen scenes, John's performance stole the movie, which portrays college fraternity shenanigans at a small college set in the year 1962. In 1979, John along with fellow SNL regular Dan Aykroyd quit the series to pursue movie projects. John and Dan Aykroyd appeared in minor roles in Steven Spielberg's financially unsuccessful 1941 (1979) and, the following year, in John Landis' The Blues Brothers (1980). Around this time, John's drug use began escalating. Cocaine, which was ubiquitous in show-business circles in the 1970's, became his drug of choice. After he first experimented with cocaine in the mid 1970s, John almost immediately became addicted to it. His frequent cocaine sniffing binges became a source of friction between him and Judy, whom he married in 1976. John's love for blues and soul music inspired the "Blues Brothers". He and Aykroyd first appeared as Joliet Jake and Elwood Blues, a pair of white soul men dressed in black suits, skinny ties, fedora hats and Rayban sunglasses, as a warm-up act before the telecasts of "Saturday Night Live" (1975). Building on the success of their acts and the release of their album "A Briefcase Full of Blues", John and Dan Aykroyd starred in the movie, which gave John a chance to act with his favorite musical heroes including Ray Charles, James Brown and Aretha Franklin. Although John's reputation for being an off-screen party animal is legendary, his generous side is less well known. Using some of his money, he bought his father a ranch outside San Diego for him to live. 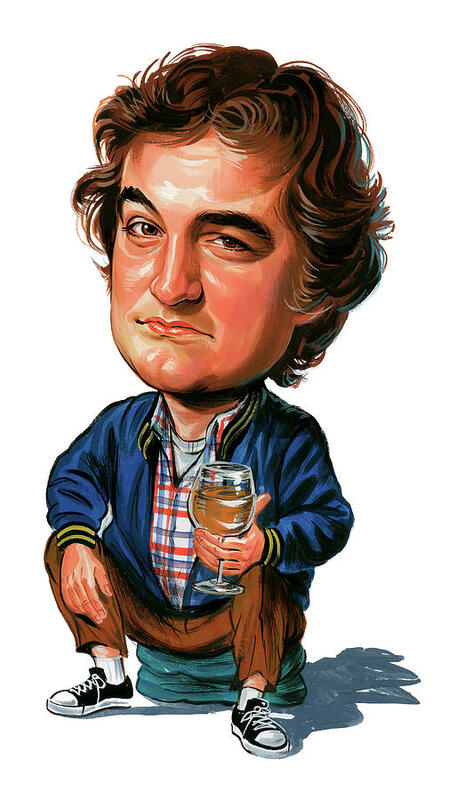 John helped set up some of his Chicago friends with their own businesses and even financially helped his younger brother, James Belushi, who followed his older brother's path to both "Second City" and "Saturday Night Live" (1975). In 1981, John appeared in the movie Continental Divide (1981), playing a hard-nosed Chicago newspaperman who finds romance in Colorado with eagle expert Blair Brown. That same year, John and Dan Aykroyd appeared again in the movie Neighbors (1981), which gave them a chance to reverse roles, with John playing a straight-arrow family man whose life is turned upside down when a wild family man (Aykroyd) moves in next door.